This article is about the guest star. 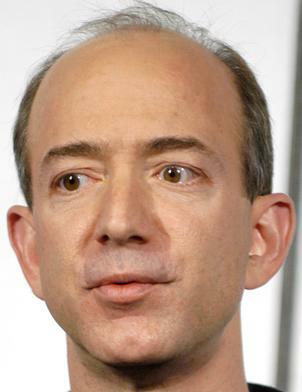 For the character, see Jeff Bezos (character). Jeffrey Preston "Jeff" Bezos (born Jeffrey Preston Jorgensen; January 12, 1964) is an American Internet entrepreneur, best known for being chairman, chief executive officer (CEO), and co-founder, of Amazon.com. He voiced himself in the season 20 episode "The Burns and the Bees".